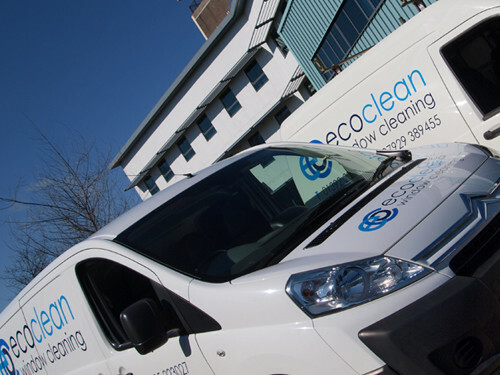 Eco Clean Window Cleaning are committed to increasing the efficiency of your solar panels. Accumulation of pollen, leaves, dust, wild fires, bird droppings, daily emissions and other debris will effect the panels which cause their efficiency to drop significantly over time. Research has shown that dirty solar panels run hotter, and work harder, which will contribute to a reduction of power and will also impact the life of your panels. We have seen many different instances in our area where cleaning solar panels have increased energy output of 20 - 66%. If you are not cleaning your solar panels then you are losing energy and your solar panels are not a there peek performance. By cleaning your solar panels regularly you can be sure that you will always be running at 95% - 100% performance. We highly recommend cleaning your solar panels for peek performance and 100% perfect energy output. For a free quote on your commercial or residential solar panels please give us a call or complete the form on the right . Eco Clean Window Cleaing only use certified "Green" cleaning solutions and we are committed to keeping your solar panels Eco friendly and energy efficient. 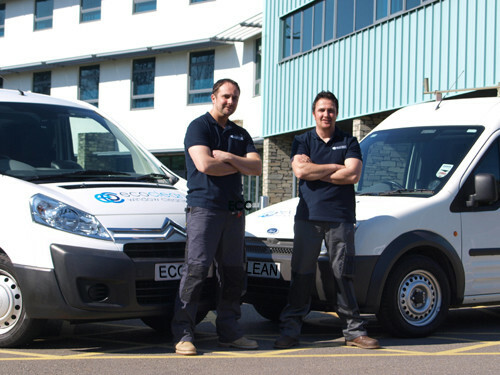 We operate our solar panel cleaning thoughtout Devon. At Eco Clean Window Cleaing we use a certified (Green - Eco Friendly) solar panel cleaning solution that is designed to keep your solar panels cleaner longer. Cleaning solar panels is not as easy as using soap and water as different soaps may harm and ruin your solar panels. If you have dirty solar panels, consult with the professionals at Eco Clean Window Cleaning today and find out how much we can clean your panels today for a brighter future tomorrow.